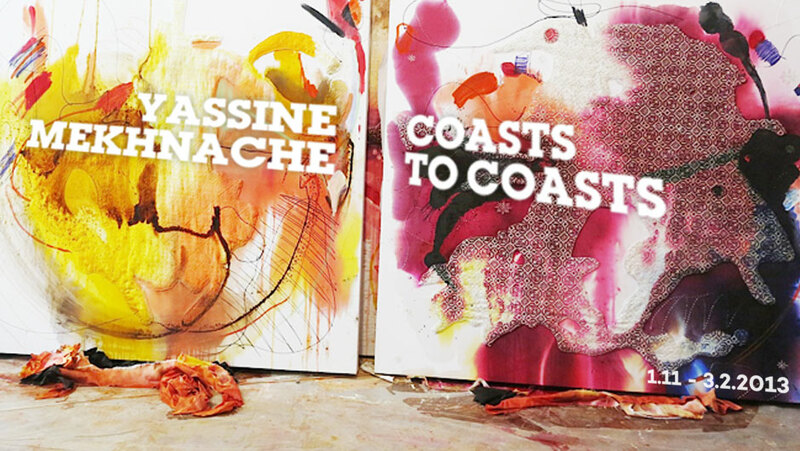 The solo exhibition of Yassine Mekhnache,“Coasts to coasts” is part of a series by the artist to form a cultural bridge between Istanbul (Krampf Gallery), Cologne (Biensenbach Gallery) and New York (Catherine Anhell Gallery. Yassine Mekhnache, aka “Yaze” is a self-taught painter who embraces Mediterranean culture with its stark contrasts. He begun as a street-artist making grafitti on the trains at the age of 12, followed by working as a designer, a video artist, a sculptor, until his pictorial verve exploded out. He rented a studio when he reached 17 and tried to channel his fury onto large canvasses with a fresh narrative from the street. This new pictorial energy took over the graffiti’s practice for Yaze by sublimating his rough learning of street art.